UBBC’s senior squad made the pilgrimage to the Tideway for the first race of 2019, Quintin Head, coming off the back of three weeks of pre-term training and two weeks of exams. The squad took four eights to London to contest their respective categories on a cold, chilly river Thames. The squad was also one of many universities and clubs representing RTHM, Rowing Together for Healthy Minds (@rthm_uk on Instagram), to raise awareness and discussion of mental health within the rowing community, a charity which was founded in part by club captain Tommy Nicholson. Each crew arrived at Quintin Boat Club with their unique set of goals to achieve over the 4600m of tidal Thames on which the race was to be contested. The men’s 1st VII spent their exams on the hunt for efficient catches and as much speed for as little effort at they could get. With two changes and a seat switch from the crew that won Head Race, the new unit was hungry to make a mark on the Tideway. Starting 15th in the draw, the crew went in with their sights on the bowball of the UL second VIII directly ahead of them. A strong start in the tailwind allowed them to make up ground, however UL held the move and pushed back as the crews came out of Barnes Bridge and into the headwind at Chiswick Steps. Bristol continued to apply the pressure all the way to the finish, with Abingdon hot on the heels of both crews, and produced a finish time 0.1s ahead of UL and 2s ahead of Abingdon. A solid performance for a crew with limited preparation and that will be looking to build on this heading into Henley 4s and 8s, BUCS Head and the Head of the River. Racing in the highest tier on offer, the women’s 1st VIII knew they had to step up technically and be mentally ready for the challenge of racing the likes of Cambridge and UL’s top boats. The crew was aware they would need to stay in their boat and race their own race in order to set themselves up for the coming season, with a goal to apply the technical changes made since Head Race and see where they would place as a result. The crew flew out of the start in a tailwind out of Chiswick Bridge, however as the wind swung round up Corney Reach, they felt that the conditions got the better of them. Coming into Hammersmith, the crew was able to reset and build their speed for the run to the line, achieving what they wanted to and setting themselves up for the winter racing season. The women’s 2nd VIII arrived at Quintin with a determined mindset off the back of a victory at UBBC Head, with a focus of “no dressage today” and to stay together as a crew. The long wait in the marshalling area gave some of the less experienced oarswomen a chance to get a feel for the lively water of the tideway before turning to start. 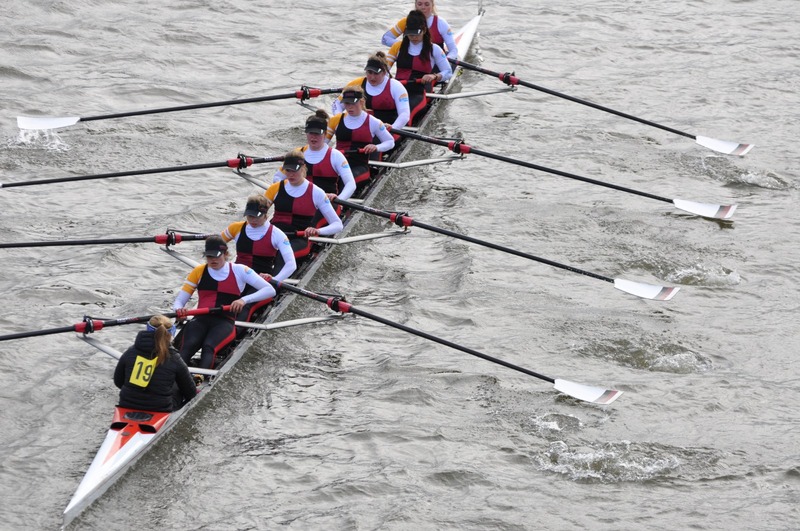 With the entire women’s intermediate field starting behind them, the crew had their eye on overtaking the junior crews ahead of them, with an early overtake on City of Oxford providing a surge of adrenaline in the early stages of the race. By Barnes, the crew had settled into their rhythm, going for another overtake on the run up Corney Reach. The aggression dropped off slightly as the water roughened up in the headwind, but the crew found their stride coming into Hammersmith, building for a solid finish to place 5th in their category. Despite the messy strokes, the crew felt it was a strong race to open 2019, in their words, “it was fast”. With illness and injury left, right and centre in the squad, the prospects for whether the men’s 2nd VIII would race were looking grim, however two last minute comebacks from Jen Cocke and Joel Bullivant meant that the crew would get a chance at redemption from UBBC Head. Apart from John Allden coming into the 7 seat, the crew remained largely unchanged from December, with bowman Harry Hetherington supplying an aerodynamic edge on a windy Tideway. The crew went in with much to prove and settled into an early rhythm, making the most of the tailwind out of the start. However the changing wind throughout the race made it a challenge for the crew to maintain their speed, but found a second wind under Hammersmith Bridge as the cameras flashed. With that speed though came a sense of it being too little too late, as the crew felt a prevailing sense of discontent. 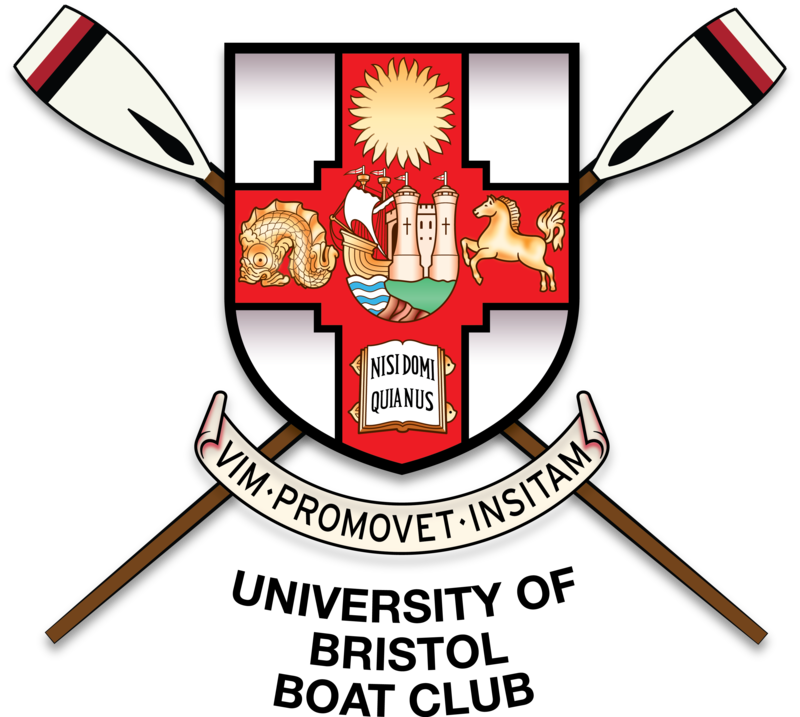 With exams over and Henley 4s and 8s two weeks away, the second VIII will be looking to shift up a gear in training, hoping to use make the most of the opportunity to gain valuable racing experience and using it as a stepping stone for the upcoming BUCS Head, and ultimately the Head of the River.